Racing Monday is back, and Papa Wheelie has part II of his MotoGP preview! 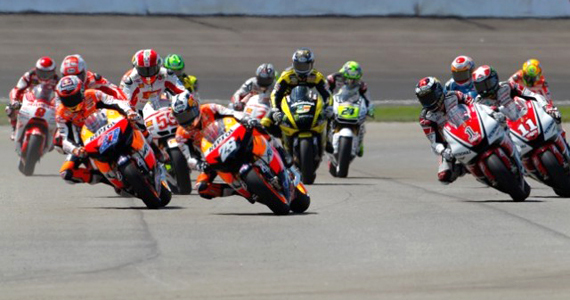 In the last post, we took a brief look at what MotoGP is and who are the big players on the circuits. This time we are going to take a deeper look at who are the new faces, and the rules that allowed them to join the MotoGP circus. 2012 has brought 1,000cc engines for the MotoGP class (up from 800cc from the previous regulations) along with a wild card to add to the bunch. The Claiming Rules Team addition to the regulations has the potential to change the face of grand prix racing, according to Jorge Lorenzo’s crew chief Ramon Forcada. If you want the exact wording of the CRT clause in the regulations, I would suggest taking a look at them in detail, but here’s my understanding of the rules. I’ll do my best not to lose you in the process. CRT teams are defined as teams that choose to run a prototype chassis married to a maximum of 1000cc engine that has not been developed by a factory team (HRC, Yamaha or Ducati). CRT teams will be allowed twelve engines per rider, which is six more than the factory and satellite teams, along with increased fuel capacity (24 litres vs. 21 litres). CRT teams could also be subject to a factory team buying, or “claiming” their engines for €15,000 or €20,000 with the transmission (officially for scrutiny, or to hinder the little guys in my opinion). Those rules mean that CRT teams can now adopt any engine they choose (within limits of course), that isn’t manufactured by one of the factory teams, and can be based on a production engine. This is a pretty big deal, as it lets newcomers join the field that would otherwise be priced out by the cost of development of a prototype bike, or by leasing one of the factory bikes. So what does this all mean for the racing? First off, this means that there will literally be two types of machines on the grid, and not just figuratively as in past years. Secondly, these bikes are likely to be much, MUCH slower than the factory and satellite bikes. This doesn’t necessarily mean that it will be that way forever, but for the near future these bikes could be like speed bumps to the standard MotoGP machines. Finally, there is the possibility that one or two of the CRT teams could surprise some of the other satellite teams, especially if the situation plays into their hands such as inclement weather, or on tracks that suit their bikes better. 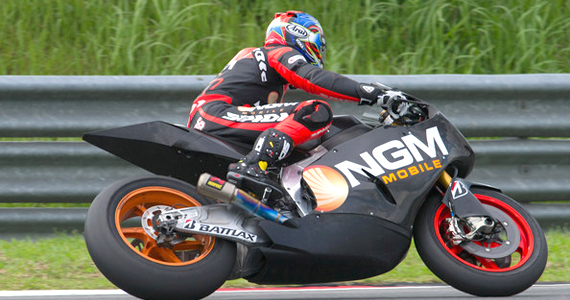 It’s hard to fully see how this is going to play out this year, but testing has already shown that these bikes are substantially slower than the 2012 MotoGP machines, which are more than likely going to be faster by the first race of the season. After all, testing is testing, and racing is the real test for these new machines and regulations. While Aspar is technically a returning team in 2012, they have chosen to go the CRT route this year with their entry, following a tough 2011 campaign. Fresh off his dismal and injury filled 2011 season with Pramac, Randy de Puniet hasn’t really put together a solid season since his debut in the MotoGP class. He’s been quick enough for pole a couple of times, but has never been able to convert that speed into a win. If he can’t stay healthy, I don’t see him being in MotoGP too much longer, and he could easily become another MotoGP refugee in World Superbike or another series. Aleix Espargaró returns to MotoGP after a largely benign 2011 in Moto2 and also needs to prove that he deserves to be MotoGP, as young riders such as Marc Márquez and Nicolás Terol are getting closer and closer to earning their MotoGP rides with top teams. Aspar has an advantage, as they have been in the series before and know how season will progress, but they need track time to really sort out their CRT machine. Avintia were one of the few CRT teams to show up at the first MotoGP test at Sepang. Iván Silva is returning to MotoGP after being away from the championship. Formerly a Ducati test rider, Silva and his younger Colombian teammate Yonny Hernández are looking to build a future in the sport. The bike and the team seem like they have some promise, but it’s still very early to make any determinations, as they have been chasing down new bike problems, including electronics woes and handling problems. It’s hard to get faster if your are trying fix problems first. Born from the ashes of the Hayate Racing Team and the former factory Kawasaki team, Forward Racing showed well at the first test and have a good title sponsor to help pay the bills of racing at the world level. Sponsorship has also allowed the team to sign the American MotoGP veteran and former dual World Superbike champion Colin Edwards. Edwards has what it takes to bring out the best of the CRT teams, being that he has help developed so many proven MotoGP machines. Hopefully his experience will let him stand out from the bunch and fight for some real points. 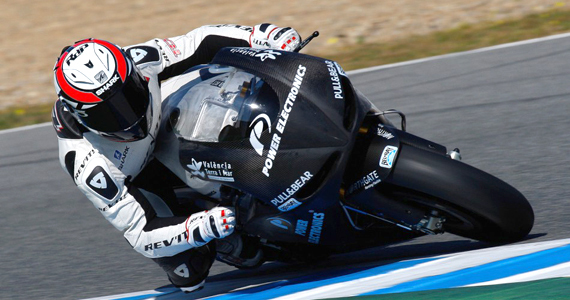 Paul Bird Motorsport is an entry from British Superbike Boss Paul Bird, and features MotoGP journeyman James Ellison. 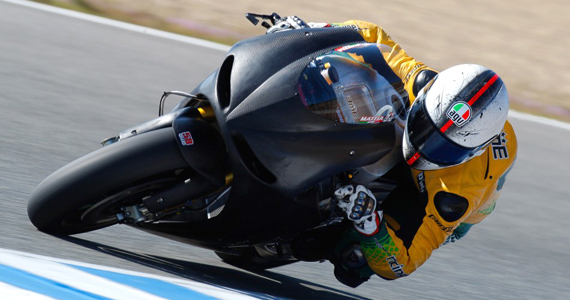 A veteran of WSBK, MotoGP and American Superbike, Ellison is eager to get back to the world stage and show his skills. The team hasn’t showed at many tests, and hopefully will get some better track time before the first race in the Qatar. 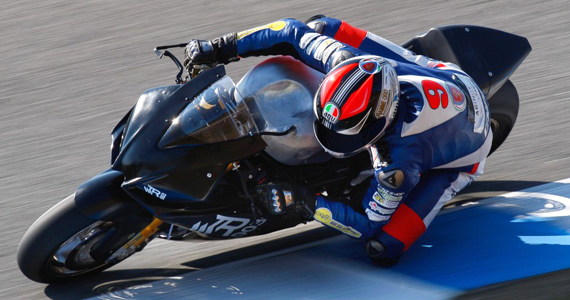 Mattia Pasini graduates from Moto2 to Speed Master and has shown some positive development in their private tests. Although pretty far from the satellite bikes, the team seems to have a grasp on their development and could move ahead quicker than the other new teams. The team has gotten off to a slow start with rookie Danilo Petrucci losing a lot of valuable testing time to crashes. Their pace is very much unknown, and they will need to make up a lot of ground before the first race of the season. Watching Avintia and Forward Racing test in Sepang along with the more established teams, it’s pretty evident that all the teams are still learning a lot about the bikes, tires, engines and the electronics following the change in rules. They don’t seem to be pushing particularly hard in all the areas of the track, but then again it’s hard to tell what any team is doing or running when testing, because they all have their own test programs and goals. Some teams are just testing out new parts, or different set-ups and some will work better than others. Sepang is a good barometer for the year though, as the track has a lot of fast sections with hard braking, as well as smooth and flowing low to mid speed sections as well. If someone can get the bike (or car as F1 tests there as well) set-up well at Sepang, the teams can usually figure out a solid set-up for qualifying and race-day for many tracks throughout the year. There were 16 applicants for the new teams this year, and only six of them were chosen. Not all of those teams have been to all the official tests, and some haven’t shown at all. Hopefully they all make it to Qatar for the first race, but only time will tell. All of the new regulations and teams are setting up this year to be very entertaining in MotoGP. Everyone seems pretty positive about where they are, so hopefully that translates to them being competitive. The “aliens” are looking to stay where they are in the pecking order, but don’t count out some of the outliers as well, especially with some serious talent lurking in Moto2. Change is always good for motorsport in my opinion, as it pushes everyone to rethink their strategy and grow to keep their edge on the competition. I’ve been excited for months following the off-season action, and can’t wait for the new season to start in roughly 35 days. Check it out if you can, you definitely won’t be sorry.